This article is reprinted with permission from Stone Interiors. 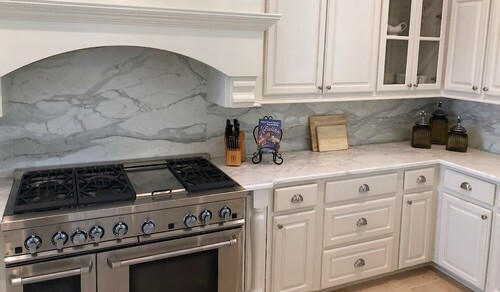 You’re facing the same conundrum that so many marble-loving home owners have wrestled with: you love marble, but is it really worth the care and maintenance to keep it looking beautiful year after year? Compared to other natural stones like granite and quartzite, marble is a relatively soft stone. It can etch if spills aren’t cleaned up right away, and it naturally develops a patina, or change in color due to oxidation, over time. This is one of the reasons manufacturers are developing engineered surfaces that resemble marble—some people simply don’t want to stress out every time a dinner guest puts their wine glass down without a coaster. But if you’re in love with the classic look of marble, there’s simply no alternative quite as beautiful as the real thing. 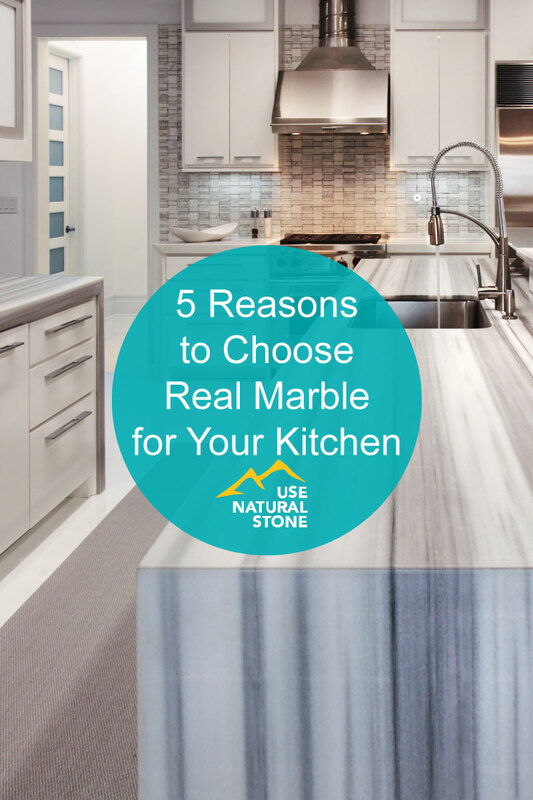 We’re here to put your mind at ease, and give you 5 solid reasons why you should make the commitment to a real marble countertop. 1. It can be sealed to add stain protection. 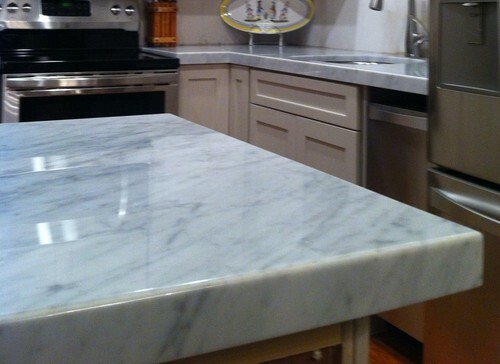 One of the main concerns that homeowners have about choosing real marble for kitchen countertops is that will stain. While marble can be more susceptible to stains or etches from acidic foods and beverages (such as red wine and tomato sauce), there are precautions that can be taken to help avoid this. Your countertop fabricator can ward off stains by applying an impregnating sealer that fills the pores just below the stone’s surface to slow the absorption of liquids, allowing more time to clean up spills. Today’s sealers are highly effective at preventing staining, without altering the look of the stone itself. While no sealer can prevent etching, which is a dulling of the stone when it comes into contact with acidic materials, a high quality sealer can go a long way in shielding your new marble from stains for years, or even decades. Ask your fabricator if they offer a multi-year stain warranty to help put your mind at ease. 2. Honed marble is just as gorgeous as polished, and you won’t have to worry about etching nearly as much. Honed marble has a more matte surface finish, meaning any dullness that may occur from a rogue lemon slice will be much less noticeable than it would be on a highly polished surface. Honed marble has a soft, satin finish rather than a glossy shine – a look that many home owners actually prefer. 3. Every slab is unique. Some homeowners choose to install manufactured quartz countertops that look like marble products, which can be made to mimic natural stones like marble, believing that they will be easier to maintain. 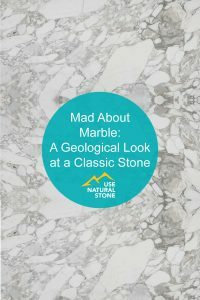 While an engineered material might be lower maintenance than marble, it will never have the same depth, unique patterns, and range of colors as natural stone. 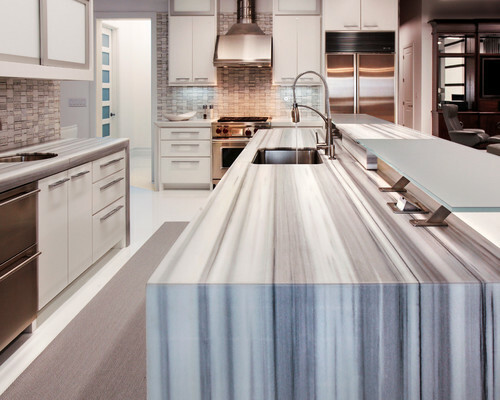 Plus, when you install a true marble countertop or vanity, you have the opportunity to select a 100% unique slab. 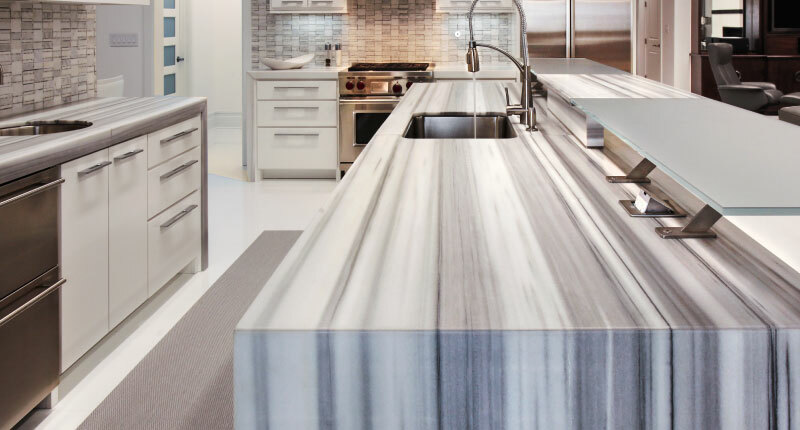 No other kitchen will have the exact same veining and characteristics that you have in yours. 4. Marble is naturally heat resistant. 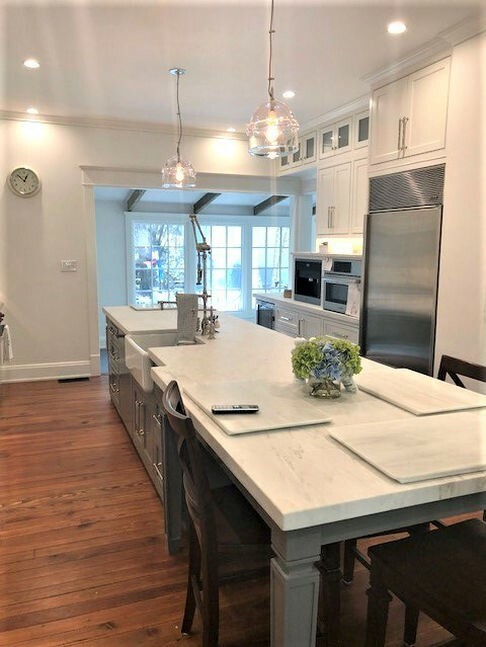 If you’re a baker, you’ll be happy to learn that marble is one of the most heat resistant stones out there, and is much more heat resistant than a common competitor – resin-based engineered quartz. This quality makes marble a popular choice for fireplace surrounds as well as counters, islands, and vanities. 5. 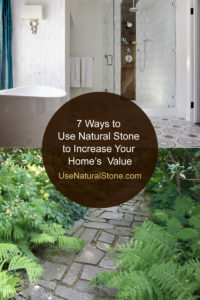 Natural stone increases the value of your home. 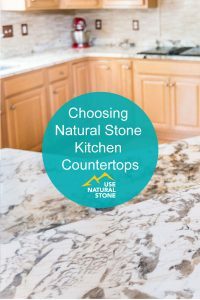 Stone countertops will increase the value of your home and appeal to potential buyers, if and when you’re ready to sell. 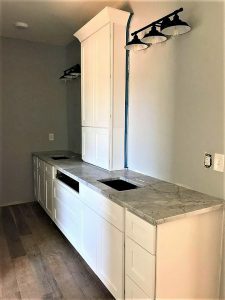 Updated countertops made of natural stone are aesthetically beautiful, and show that you’ve invested and cared for your home. Still on the fence? Talk to your countertop fabricator before you make a final decision. Most will be more than happy to give you a sample of the marble color you’re eyeing so you can take it home for a field test. Pour some lemonade on it, leave a coffee ring, drop a tomato slice – put your sample to the test to see how it reacts. Better yet, try a sample of both polished and honed marble to see the difference in performance. Every home owner should take their time to make sure they’re choosing a material that’s perfect for both their lifestyle and aesthetic. 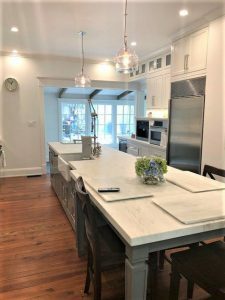 A Natural Stone Institute Accredited fabricator would be happy to answer any questions you might have about marble or any other stone material so you can feel confident in your final decision.